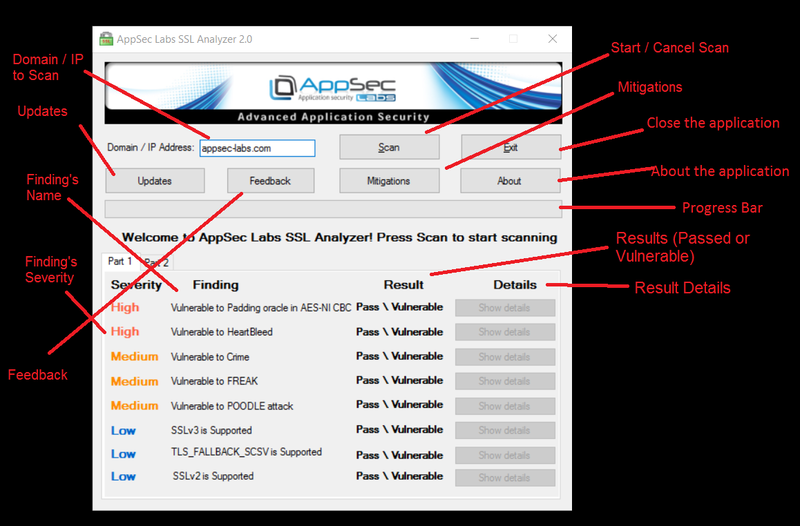 The AppSec Labs SSL Analyzer is designed for website owners and security testers. The tool takes a domain and/or IP address, tests vulnerabilities related to the encryption algorithms supported by them as well as configuration, analyzes the results and presents them in a graphic form, reporting problematic encryption methods and other vulnerabilities. AppSec Labs SSL Analyzer was developed by Gilad Ofir, senior application security consultant at AppSec Labs. Your browser may warn you about a dangerous file, because the zip file contains an installation file. NOTE: Your browser may warn you about a dangerous file, because the zip file contains some testing applications.